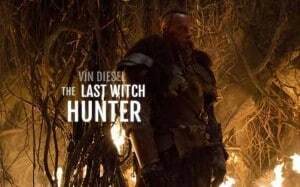 The Last Witch Hunter 2 Already Planned at Lionsgate | Nerd Much? It’s rare that we get excited for a Vin Diesel movie here at Nerd Much, but admittedly, The Last Witch Hunter looks pretty badass from the footage we’ve seen so far. Of course, we don’t know whether or not the upcoming movie is going to be a dud or not, and we won’t be able to find out until it releases this October. But apparently, Lionsgate is already making plans for The Last Witch Hunter 2. Diesel shared a post on his personal Facebook page early this morning to poll his fans as to what they think of the idea of him being in a sequel (which, in reality, probably wasn’t the best idea since none of them have seen the movie yet). Of course, this doesn’t mean that Vin Diesel will re-appear, but hopefully The Last Witch Hunter will turn out to be a great action movie. We’ll find out more during The Last Witch Hunter’s SDCC panel, but for now, all we have to go on is the first trailer, which you can watch here. The Last Witch Hunter will star Diesel, Rose Leslie (Game of Thrones), Elijah Wood (Cooties, Lord of the Rings), and Olafur Darri Olafsson (The Secret Life of Walter Mitty). The film is set to be released in theaters on October 23, 2015.